Something I didn’t think possible in Windows 10’s new browser. 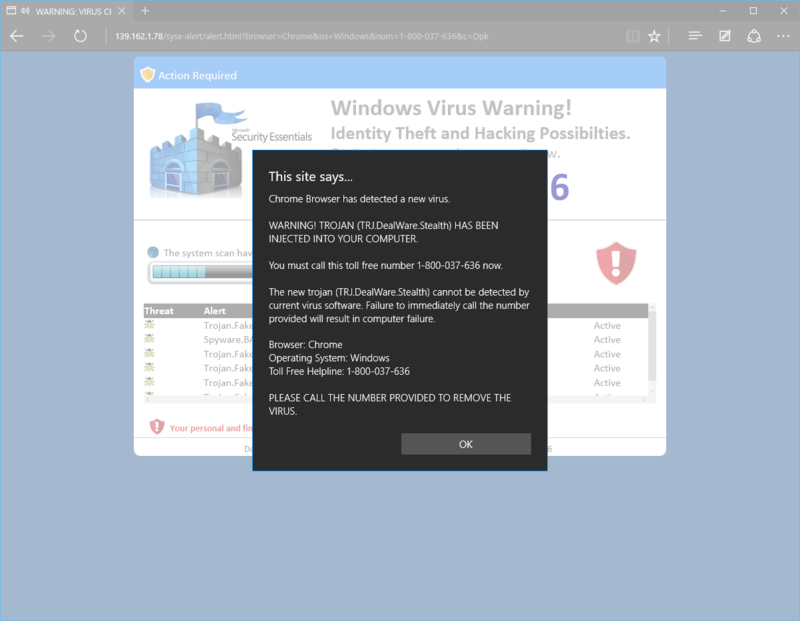 The popup incorrectly identifies the browser as “chrome” and warns that I have been infected with “TRJ.DealWare.Stealth”, with the only answer to call 1-800-037-636. Windows defender (installed by default) picked up nothing. I installed spybot search and destroy and with all updates it found nothing. I looked in to the mentioned virus and found no traces of any files or applications from it on my system. There were no traces of it in the registry. If you continually hit the enter key and click on the new tab button at the top of the browser, eventually you will end up with a new tab popup free. Edit: Edge has been updated, and now allows you to tick a box to prevent further popups from being created. So now all you need to do is close the popup once, then tick the box in the following popup, and you will then get access to the menu at the top. This will then allow you to bring up the menu, and choose inPrivate mode. Once in your private browser, you can then bring up options again and choose settings. Tick all boxes and click clear. Then you will need to bring up task manager & end the edge task. Edit: Edge has been updated, and can now be closed normally. When you re-open, it should be gone! 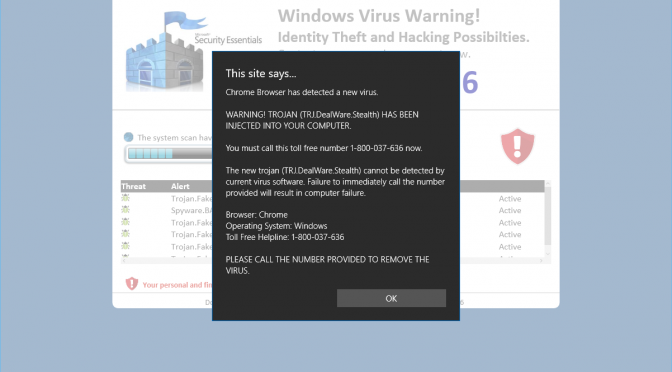 Just in case I would recommend running a full scan with windows defender just to make sure.